. يقدم Tripcony Quays Apartments خدمات لا غبار عليها وكل أشكال اللياقة وحسن الضيافة اللازمة لإسعاد ضيوفه. يمكن الاستمتاع بمجموعة من الخدمات على أعلى المستويات في الفندق كمثل تسجيل وصول/خروج سريع, تخزين الأمتعة, واي فاي في المناطق العامة, صف السيارات, التوصيل من وإلى المطار. 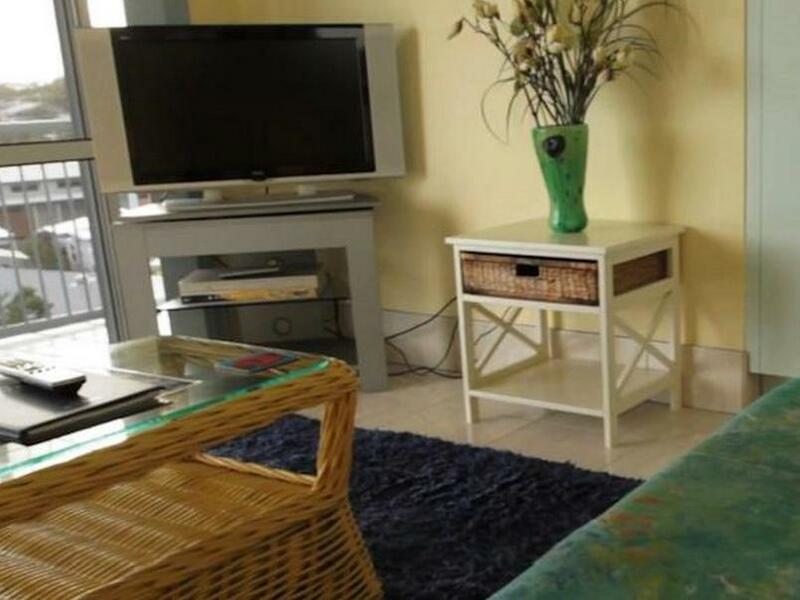 تنعكس أجواء Tripcony Quays Apartments في غرف الضيوف.تلفزيون بشاشة مسطحة, غرف لغير المدخنين, مكيف هواء, مكتب, شرفة/ تراس هي بعض الميزات الموجود في العديد من الغرف. إن مسار جولف - ضمن 3 كم, حمام سباحة خارجي, حديقة هو المكان الأمثل في الفندق للاسترخاء وتفريغ طاقتك بعد نهار طويل. إن كنت تتطلع إلى إقامة مريحة وهادئة في صن شاين كوست، فستجد في Tripcony Quays Apartments بيتك الثاني. يُطلب من الضيوف الذين سيصلون بعد 05:00 PM الإتصال بالعقار مباشرة قبل موعد وصولهم. Yours is a very basic accommodation facility. Endeavour to catch up with the market and offer free wi fi, not a clumsy, unreliable one that you have at present. The manager could not have been more accommodating. We were on the top floor which came with our own rooftop balcony. Not modern but clean. Was a participant in BeachFest and found this to be a good location and price. Jim was fantastic and ever so helpful. Would gladly recommend this place to others. 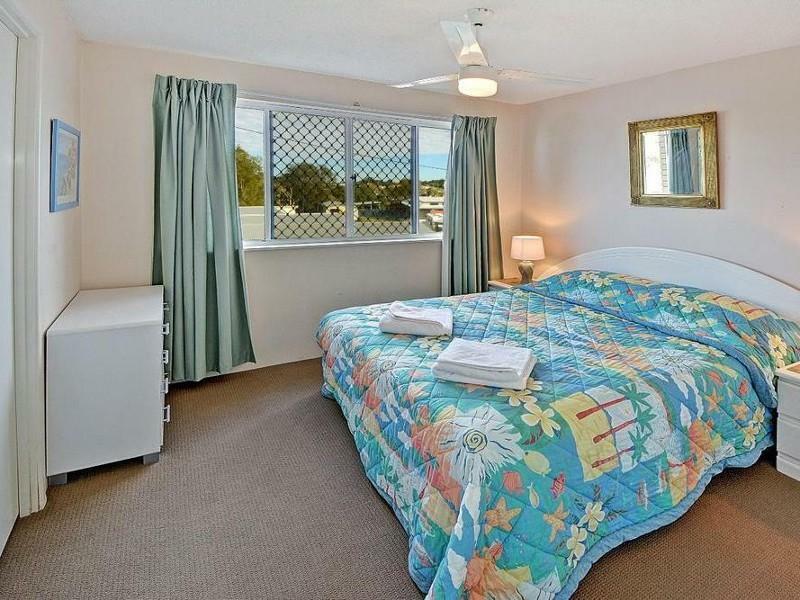 Spacious unit with comfortable bed and sofas in a quiet area. Jim was our friendly host who was very helpful with checking in and local information. I stayed in apartment 16, which was three flights up (no lift). However there was a lock-up garage so your car is undercover. Other facilities - restaurants, cafes and supermarkets are within 10 mins walk. Hopefully the weather will cooperate as rain and strong winds made for a less than really great stay. Thanks we really enjoyed our stay there and Jim the manager was very helpful too. There was a smell of cigarette smoke in the apartment maybe coming from the air conditioner. Fantastic location and service with a smile! Walking distance to main street for shopping and dining. Brilliant stay! What a tremendous weekend we had! Great spot, managers are nice, caught some fish off their private jetty. Short walk to anything and everything. There was no lift in the complex, had to trudge up the stairs with bags which the owner helped with as we are mature aged people. The sea view was only available from balcony, (long and narrow) on side of unit. Rather disappointing, especially for our overseas visitor,. Upon arrival we were met by friendly staff willing to help with information on the local area's shopping, beaches or parks. The apartment catered for everything we required at a very affordable price. 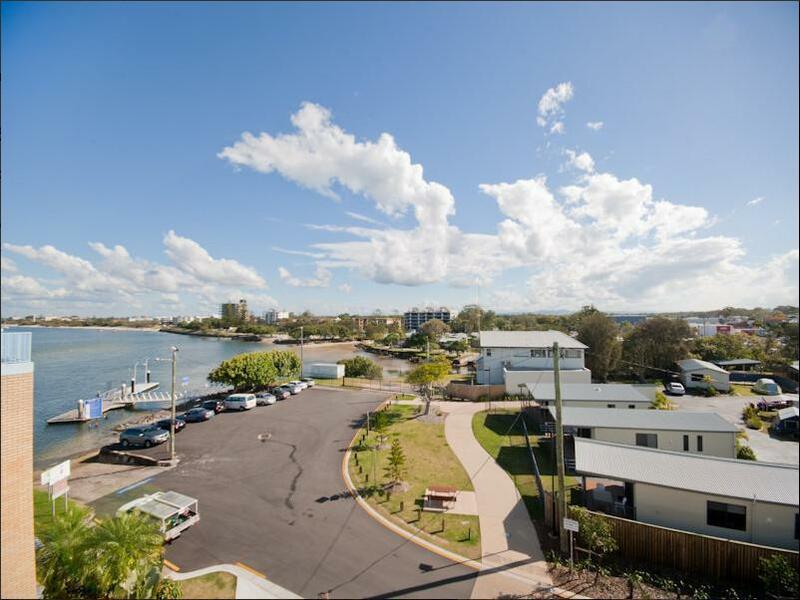 The location is walking distance to the Caloundra CBD, restaurants & shopping centres. 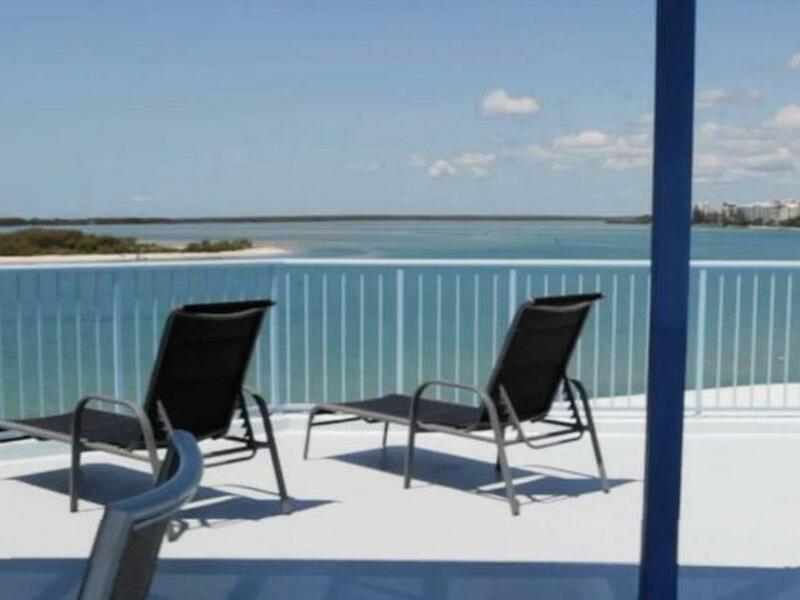 Fishing off the apartments own wharf and beaches no too far another reason to stay. An easy walk to restaurants, shops, markets and the beach close by. If I had longer, I'd have thrown a line off the private jetty. Lovely management. A great place for a family holiday. Quiet yet very central to shops and beaches. We will stay again. Very nice. Manageress/owner very friendly and helpful. Lock-up garage was an unexpected bonus. Apartment was very clean and cosy and we enjoyed our time there. Took the Caloundra Cruise, which was a lovely 1.5 hour trip. We'd stay here again. Pleasant apartment in very good position. They were very comfortable with everything you need. I would recommend for a family holiday.